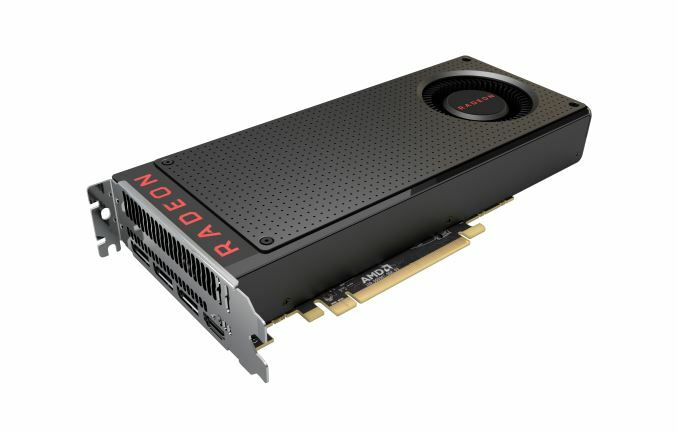 Following up on this weekend's statement from AMD about a potential power issue with the reference Radeon RX 480, AMD has just sent over their previously promised update on their progress dealing with the issue. In short, they are nearly finished preparing their updated driver, 16.7.1, which will be posted "within the next 48 hours" (which at this point is late Thursday). The new driver will offer two solutions to the power problem. The default solution: shift some of the power load off of the PCIe Graphics (PEG) slot connector, presumably in order to bring power consumption within PCIe spec. Note that AMD doesn't say anything about reducing the total power consumption, and given option #2, it's reasonable to assume that this involves holding the power requirements as-is and shifting the load to the external 6-pin power connector. Based on earlier data this would potentially put the 6-in connector further over spec, but the vast majority of PSUs are very tolerant of this going out of spec. The optional solution: a toggle that reduces the total power consumption of the card, presumably ensuring both the PEG slot and 6-pin power connector stay below their respective limits. Since the RX 480 is already throttling at times due to power limits, this would further hurt performance, but it's also the most standards-compliant solution (and aptly named "compatibility" mode). AMD notes that this option will have "minimal performance impact", and while we'll have to see the results in the benchmarks, it's worth noting that power consumption is cubic - that is, roughly to the 3rd power of frequency - so a small reduction in frequency can significantly reduce power consumption, as we've seen in the case of the Radeon R9 Nano. Along with this, AMD is also touting some slight performance optimizations in this driver that they hope will offset any performance loss (though I'd note that these optimizations would have come anyhow). We'll have more on this when AMD ships their driver. 1: Based on data running ’Total War: Warhammer’, ultra settings, 1080p resolution. Radeon Software 16.6.2 74.2FPS vs Radeon Software 16.7.1 78.3FPS; Metro Last Light, very high settings, 1080p resolution, 80.9FPS vs 82.7 FPS. Witcher 3, Ultra settings, 1440p, 31.5FPS vs 32.5, Far Cry 4, ultra settings, 1440p, 54.65FPS vs 56.38FPS, 3DMark11 Extreme, 22.8 vs 23.7 System config: Core i7-5960X, 16GB DDR4-2666MHz, Gigabyte X99-UD4, Windows 10 64-bit. Performance figures are not average, may vary from run-to-run. did you even read the da** thing ? because nVidia don't have issues? You are right in that without further evidence you can't come to any conclusions. However, (right or wrong) its pretty easy for people to place at least part of the blame at nVidia's feet given that the same issue doesn't exist for its competitor.